As more and more people join choirs, Kirsty Lang talks to three different choir leaders and members about the benefits of singing together. It's estimated that almost three million people in the UK now belong to a choir. Kirsty Lang explores why this might be, and looks at the evidence that singing is really good for us. 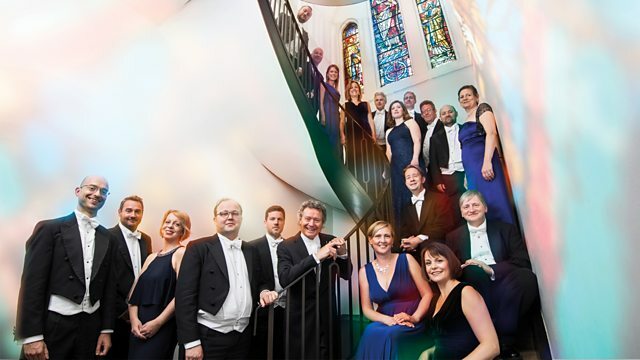 The Sixteen is a professional choir which celebrates its 40th anniversary next year. It's founder, Harry Christophers, and one of the sopranos, Charlotte Mobbs, talk to Kirsty about starting the choir, changing attitudes towards choral singing, their 2019 plans and their outreach programme, working in communities where arts provision is low. Ten years ago, musician Martin Trotman was approached by the Birmingham NHS Trust to set up a community choir for those with mental health issues. One choir has grown into four choirs, which welcome all members of the community with the aim of promoting mental and physical wellbeing through music and song. Martin discusses why choral singing is so beneficial, and two members of the Birmingham Wellbeing Choir talk to Kirsty about how it's helped them. M J Paranzino is a musician and vocal coach with a passion for community singing. She currently runs four choirs, one in Brighton, one in Hastings and two in London. Kirsty joined M J and members of the choirs when they sang at the V&A in London in the run up to Christmas and discovered that all of human life is in a community choir! Dr Jacques Launay is a lecturer at Brunel University and has done, and continues to do, research into music and social bonding. He explains why our bodies and minds respond so well to singing in a choir.